Hi guys! It's already like 5 PM and this article should have been posted multiple hours ago, so sorry for that (something with a party and lack of sleep but nevermind). But yeah, Tessa (from Raspberry & Ripped Jeans) nominated me for the Liebster Award, which truly surprised me, but I thought it was really sweet of her. 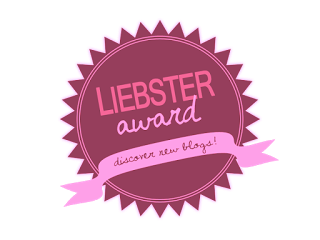 If you don't know the Liebster Award yet: it's some kind of award/nomination to get to know the person behind blogs a little better and maybe even discover some new blogs. You can't really win something, but you do answer the questions which the one who nominated you asked you, state 11 facts about yourself and nominate 5 other bloggers. Okay then, what are we waiting for? Let's get started! 2. Why did you start blogging. I have loved writing since I was a kid. My life knows many ups and downs though, and I kind of tend to stop doing everything I love when I feel down, unhappy or when I have a lot of stress. I've had multiple social media thingies: an instagram diary where I wrote about my eating disorder for instance (boom, yeah, I have an eating disorder, woah, #confession). I couldn't really fit all my passions into such thing as an instagram diary or like a twitter page though. I couldn't share my photography work, my outfits, my new fashion finds, DIY's, stories, tips etc. and that bothered me. I also reached an admittedly large, but quite limited and monotonous kind of audience. By starting this blog I could combine all my passions and share them with a wider and more various audience. And in addition to all that, this is a way to keep writing and to keep doing what I love in good ánd bad times. 3. Do you do everything yourself fo your blog? Yup! Layout, writing, photography, header, html: it's a lot of work, but I really like working on my blog and knowing I've achieved all of this by myself! 4. What do you like most about blogging? 5. What are your 5 favourite blogs? 6. Which fashion trend do you currently like most? 7. Name a timeless must-have. Black jeans. I really can't live without my black jeans. When I'm unable to pick an outfit to wear I just always go for black jeans, a white top, a cardigan and simple shoes (like my clarks). And boom: a simple yet sophisticated outfit is born. 8. If you could hop on a plain right now, what would your destination be? 9. What are your favoutite leisure activities? 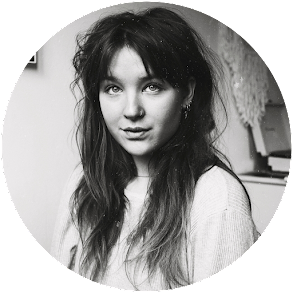 Writing, reading, photography, drawing, blogging, reading blogs, sleeping, eating, running and watching series (current favourite: awkward - guilty). 'Decide that you want it more than your afraid of it.' -> This one has helped me through a lot. 11. What does your life look like in 10 years? I'm quite the dreamy type, so prepare yourself for um, yeah, for quite something.. I have my own house/appartment in Brighton, England. I'm enjoying life to the fullest: I go to parties, I dance, I often go out for dinner, I order lovely desserts and do lots of creative things. I wander around town, I swim in enchanting lakes. I have three cats and laugh a lot. I watch movies and cry. Christmas Eve in London, buying loads of christmas jumpers and wearing a different one every day. I wake up to happy songs and have breakfast while dancing. I wear the clothes I like. I have snowball fights, then going inside and fall asleep in the arms of my boyfriend while sitting in front of the fire. I dance in the rain and enjoy thunderstorms while having tea and biscuits inside. I lie in fields of grass and wear flower in my hair. I sing. I go to gigs. I run. I travel. I make money from blogging, youtube, photography art or music. I see. I admire. I help. I share. I am carefree. I am happy. 1. I don't have a middle name; it's just Laura. 2. I have a twinbrother. 3. I usually fall in love with charaters in the books I read. 4. I loooooooove Christmas, it's my favourite time of the year. I once spent over €200 on presents for all my friends: OOPS. I can't spend any money on myself, but buying other people presents isn't a problem at all. 6. I play the piano, the guitar and I sing. 7. I am obsessed with Disney and own more than 25 Disneymovies. 8. When I'm homealone I usually play loud music and dance around the living room. 9. I (almost) never wear dresses but I'm searching for something I feel comfortable in so I can start wearing them. Getting out of the comfort zone and stuff. 10. I'm a very bad sleeper. I usually sleep for about 5 or 6 hours, sometimes even 3 or 4. And there are nights I don't sleep at all. This results in me being pretty f***** tired all the time. 11. I have been to quite a few countries already (Belgium, France, Gemany, Luxemburg, Spain, Portugal, Czech Republic, Angola, Capetown, Bolivia, Brazil and Chile) and I'm planning on traveling the world in a few years. Okay, so that was quite a lot of information to handle I guess. And since it was all about me, I think it's time to turn it around and get to you! I nominated 5 bloggers I'd like to get to know a bit better! 2. Describe your blog in 5 words. 4. What is your favourite fashion item? 5. Wat is your favourite beauty item? 6. If you could hop in a plan right now, what would your destination be? 7. What makes you truly happy? 8. What do you like most about blogging? 10. What does a regular day in you life look like? hahaha human and likes peanutbutter! Superleuk geschreven! Ahh super leuk dat je hem hebt ingevuld! Leuk om te lezen! Ik herken me echt in 7 & 8 van die 11 facts! Hihi Liefs!